Imagine, you’re this hot wolf shifter detective taking care of business when you run dead smack into your fated mate. You know, the one person to whom you are intrinsically linked and hot and bothered about on sight. On top of all of that, she’s smokin’! You immediately want her, but the problem is that she’s not feeling you at the same level. Well, she may be feeling something, but it’s not the whole “sealed to each other forever” thing. What’s a man-wolf to do? 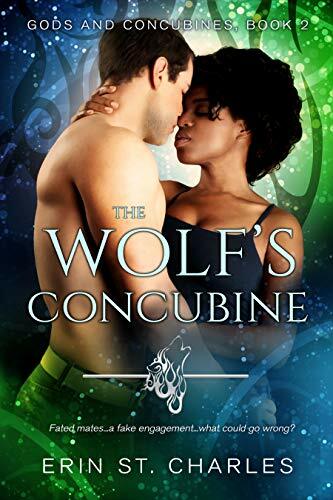 That’s Phelan’s dilemma in Erin St. Charles’s paranormal romance The Wolf’s Concubine. From the time he rescues the damsel in distress, Lola, the wolf-shifter-detective wants her—forever. Some of the best romance novels are the ones with the rawest passion. Not always. Some authors take primal lust and make it gross. But when well-done, an author can tap into readers’ baser sensual instincts, reminding them that just wanting someone isn’t necessarily a bad thing. That is what Keta Kendric does in her novel Twisted Minds. 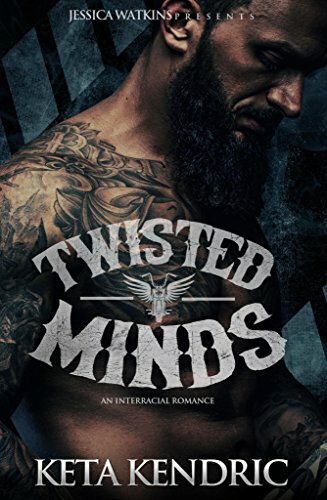 From the moment main character Aaron sees Megan serving up grub to his father and the rest of the August Knights Motorcycle Club cretins, he’s immediately charged with a desire to have her. A lot of people have had that one night stand that won’t go away. Who? Me? Man, this juice is good. BTW, ***SPOILERS ALERT*** Now, Let’s do this. Feeling a little down, Diana Miller decides to have some fun with a hot guy she met at a party. Not bothered by the fact that he’s obviously a shifter, she invites him back to her place for a private party. After all of the sexual frolicking, she unceremoniously bounces her bed buddy out of her house. All set, Diana goes to work, ready to focus on her career. Some readers thrive on short stories, microfiction and flash fiction. They’ve been a staple of literature for centuries. Short stories also offer authors opportunities to tell a tale that may not be necessarily long or involved enough to fill the pages of a novel. Writing a short story can also help hone writing skills (sometimes it’s harder to tell a story within a small amount of page space) and share work with readers between the release of novellas and novels.